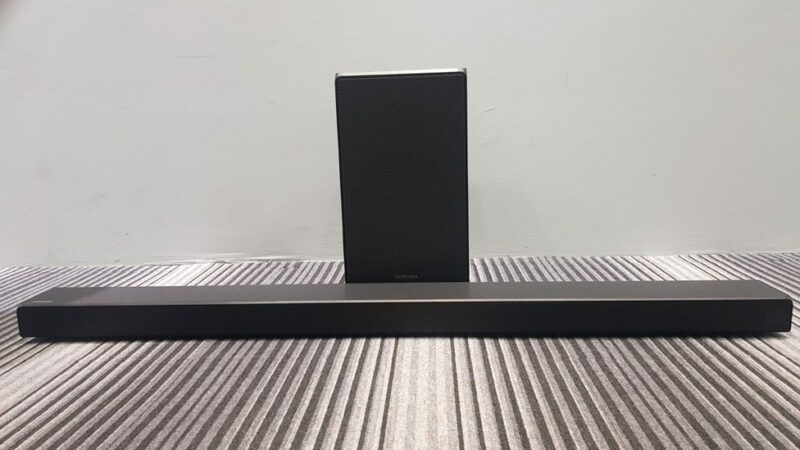 Stylishly built and powerful in equal measure, the Samsung HW-N650 soundbar delivers an expansive sound stage, good bass and seamlessly smooth connectivity, making it an easy addition for any home entertainment system. 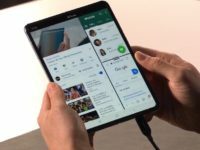 Mention Samsung to any chap off the street and they’ll likely bring to mind their extensive range of QLED TVs and the fact that they make some of the most powerful phones on the planet like the Galaxy Note9 and soon to be launched Galaxy S10. 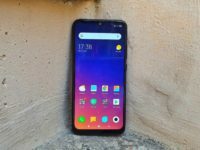 They have also been gaining prominence in another area – premium audio kit which is where the likes of their HW-N650 soundbar come into the picture. 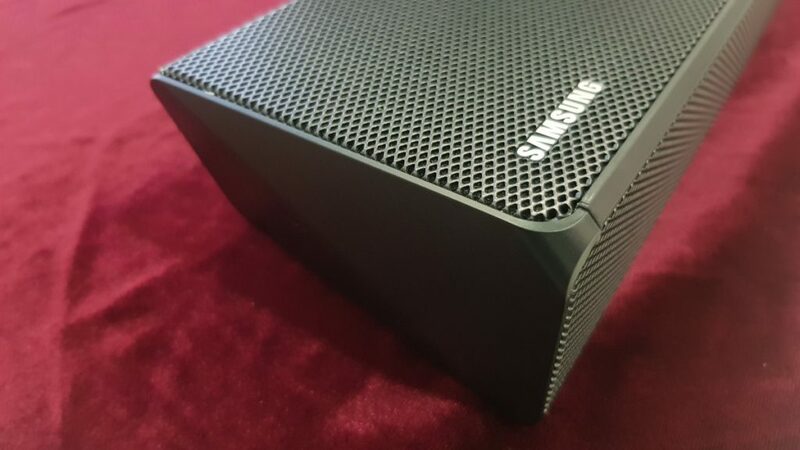 One of the latest offerings to come out of their recently acquired Audio Labs in California, the Samsung HW-N650 is a 5.1 channel soundbar that boasts of a dedicated wireless subwoofer with the whole affair done up in a posh shade of matte black that holds it in good stead in all but the most outlandish home decor setups. They’ve also included a remote control with the whole package. Samsung has elected to keep the design simple and minimalist with the minimum of buttonry. The primary speaker housing of the N650 is a huge rectangular slab hewn of metal that houses a 5.1-channel setup that consists of three forward-firing speaker channels with each hosting a driver and a tweeter as well as two upward-oriented tweeters using Samsung’s own Acoustic Beam tech to create a more immersive soundstage for a grand total of eight speakers and 360W of total power. 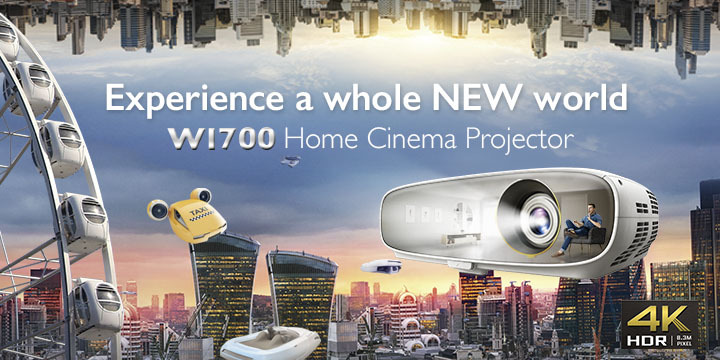 The inclusion of a center channel means that the N650 is able to offer crisp dialogue in movies rather than having it drowned out by explosions, music and whatnot, which makes it a feature that cinemaphiles will appreciate. 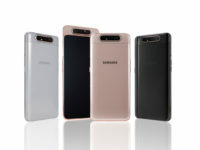 Another feature of note is that Samsung’s Acoustic Beam tech is what elevates it from the competition. 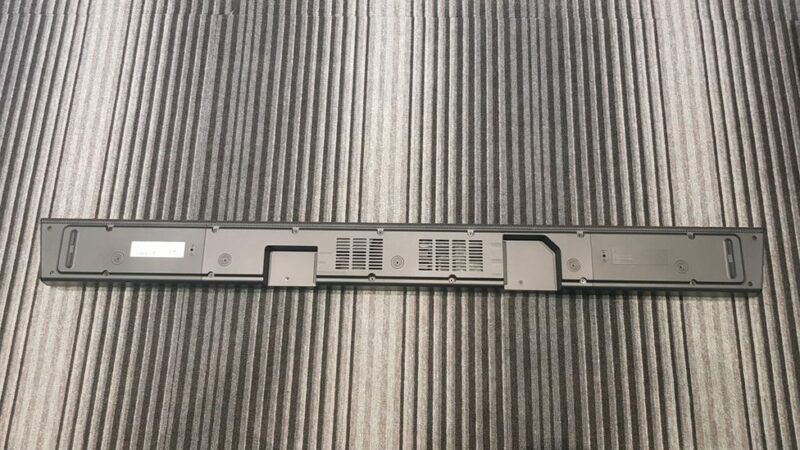 This technology takes a leaf off how an organ pipe works, firing sound upwards from the aforementioned tweeters through a series of 28 drilled vertically oriented holes in order to bounce it off the walls so as to generate the aforementioned immersive sound stage. 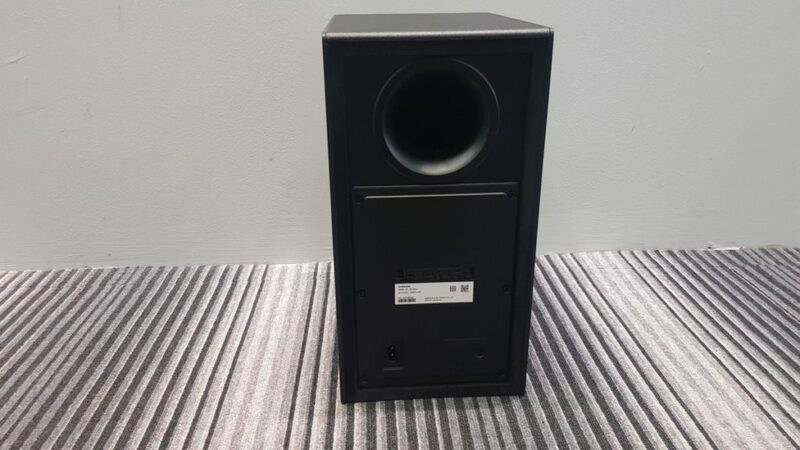 The rectangular shaped main speaker has a fairly low clearance height at 59mm which allows it to nestle under most TVs though you can optionally mount it to the wall with a provided wall bracket though this requires a bit of muscle. Assuming you’ve oriented it correctly facing front, the main speaker of the N650 sports an unobtrusive LED display to provide feedback when you navigate the menus along with a series of embossed controls carved into the metal to manipulate volume via a plus and minus sign, turn the soundbar on and off and to select inputs. 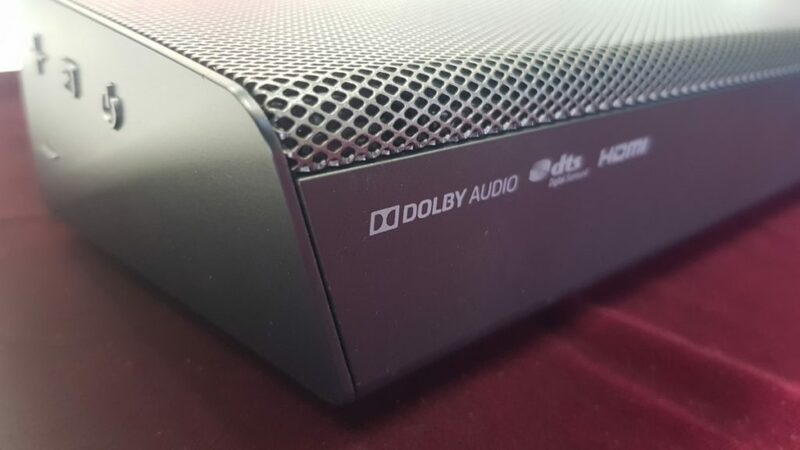 On the lower rear of the soundbar are a series of inputs that include a 3.5mm audio jack, a optical digital audio, a HDMI input, a secondary HDMI output with an Audio Return Channel (ARC), a USB port and the obligatory power supply hook up. 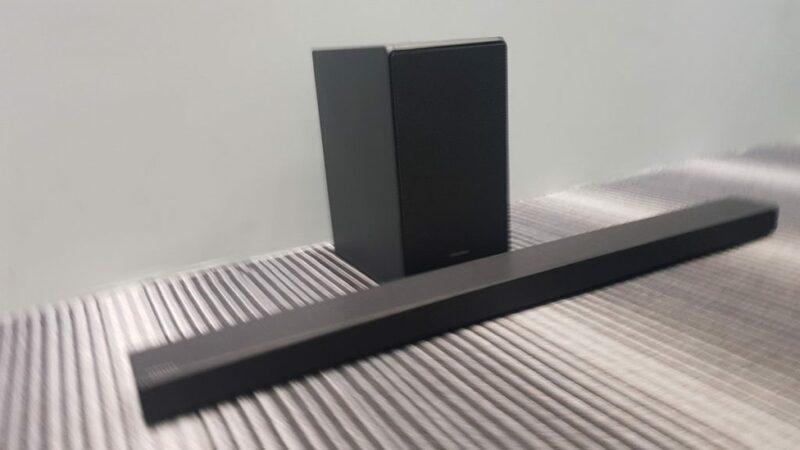 Rather than adding another mess of wires, Samsung has elected to pair up the subwoofer housing wirelessly to the main rectangular shaped speaker. The squarish subwoofer itself weighs about 7kg and has a similarly low profile design with a matte black finish. The housing itself sports a forward-firing 6.5-inch driver paired up with a rear port The fact that it’s wireless means that it offers quite a bit of flexibility as to placement in your home entertainment setup. The whole affair comes packaged in a rather quaint looking L-shaped cardboard packing box. 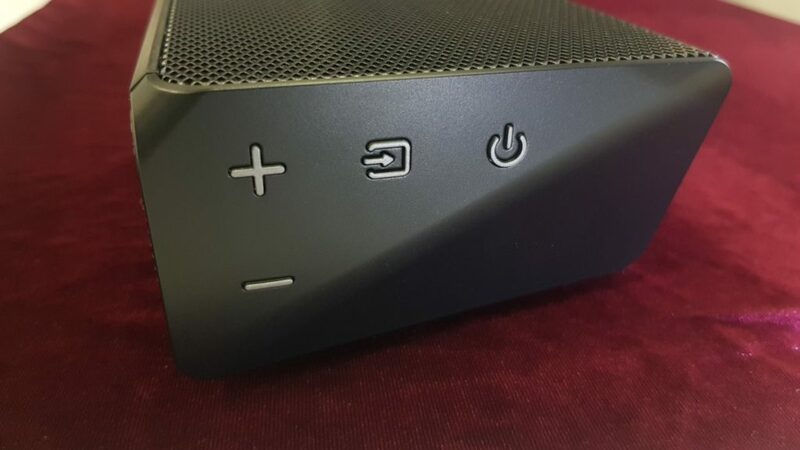 It’s a simple matter to set up on account of the wireless subwoofer and its ability to also pair up with your phone, TV or other source via Bluetooth. 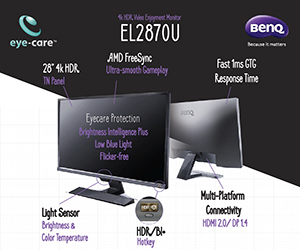 Once you’ve wired it to the mains, the HW-N650 is rather straightforward to use with three modes optimised for specific types of content -Game, Surround and Standard mode. In Game mode, you get optimised sound effects and directional audio. In Standard mode, the N650 is optimised for music while Surround mode is optimised for movies and creates a more immersive sound stage. We put it through its paces some normal lossy MP3s and some higher quality FLAC files first to check out how it tackled music on Standard mode. What pulsated out from the N650’s speakers left us with a beatific grin on our faces. Joanna Wang’s distinctively smooth vocals came out sweet, clear and strong like a precisely brewed cup of espresso with her voice and the gentle strumming form her guitar in Vincent taking centre stage. Next up, we fired up the late Avicii’s ‘Levels’ and it was a treat for the ears with the dedicated subwoofer kicking out some solidly strong bass. We also field tested it with The Heavy’s ‘Short Change Hero’ which has a distinctive sound stage that puts a speaker to the test. The HW-N650 performed with flying colours. For movies, we swapped over to Surround mode and fired up Star Wars: Rogue One. The battle of Scarif proved to be a viscerally entertaining affair with an expansive soundstage that offered excellent directional audio with each blaster bolt and explosion on account of their impressive Acoustic Beam technology. Even with all the ordnance flying around, Felicity Jones’ posh English voice remained clear. It was also a dab hand at gaming as well with a quick runthrough of Modern Combat Versus and PUBG offering crisp directional audio for each explosion and incoming round. It’s a very capable performer indeed. 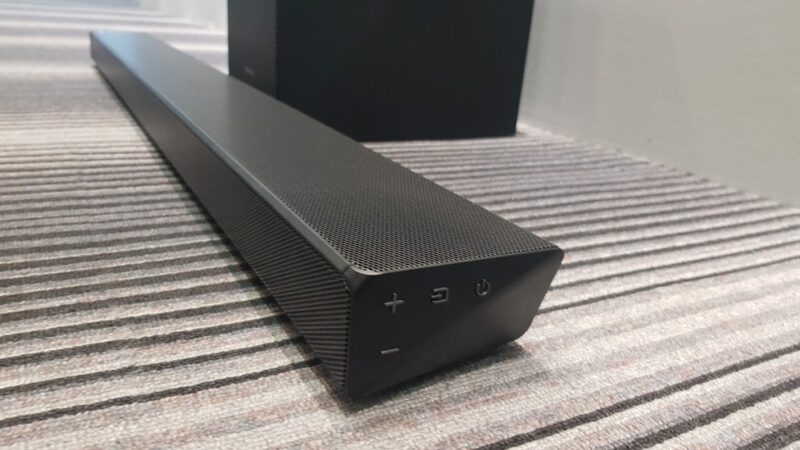 As it stands, the HW-N650 soundbar brings a lot to the table. It comes with superb build quality, is an absolute doddle to set up in your living room and offers great audio quality across the board with plenty of detail, excellent sound staging and some truly thumpy bass though all this does not come cheap. If you need a solid soundbar for your home that can tackle music, movies and gaming with equal capability, the Samsung HW-N650 comes highly recommended. We say Stylishly built and powerful in equal measure, the Samsung HW-N650 soundbar delivers an expansive sound stage, good bass and seamlessly smooth connectivity, making it an easy addition for any home entertainment system.